James Johnson served three tours in Vietnam, first as an Army helicopter gunner and then in military intelligence as a Marine. He followed in the footsteps of his sailor father, who was stationed at Pearl Harbor shortly after the bombing that drew America into World War II. But military service is not the only tie that binds generations of Johnsons. The family, which also includes James’ brother, Norman, is also proud of its Native American heritage as members of the Cherokee Nation. And as it turns out, those family traditions are closely intertwined. 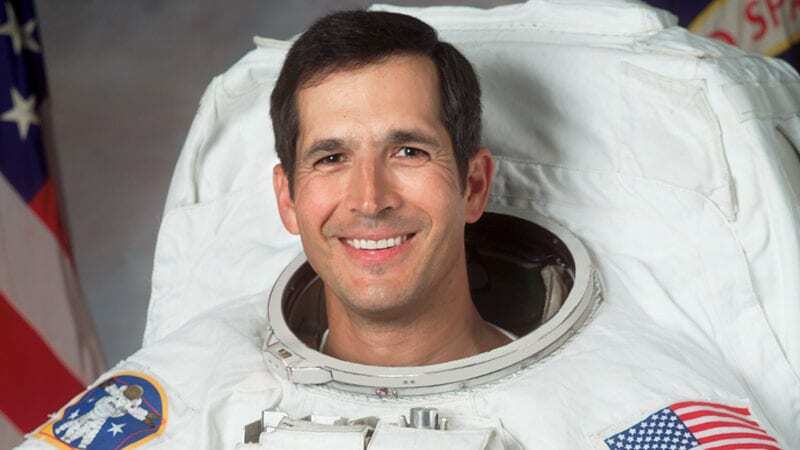 One of the most accomplished Native American military veterans is John Bennett Herrington, a retired Navy commander and former astronaut who served on the space shuttle Endeavor in 2002. He honored his native tribe, the Chickasaw Nation, by carrying an eagle feather and a flute on the shuttle mission. The Oklahoma native was inducted into the National Native American Hall of Fame in October. He regularly visits reservations across the nation to mentor American Indian and Alaskan Native youth. 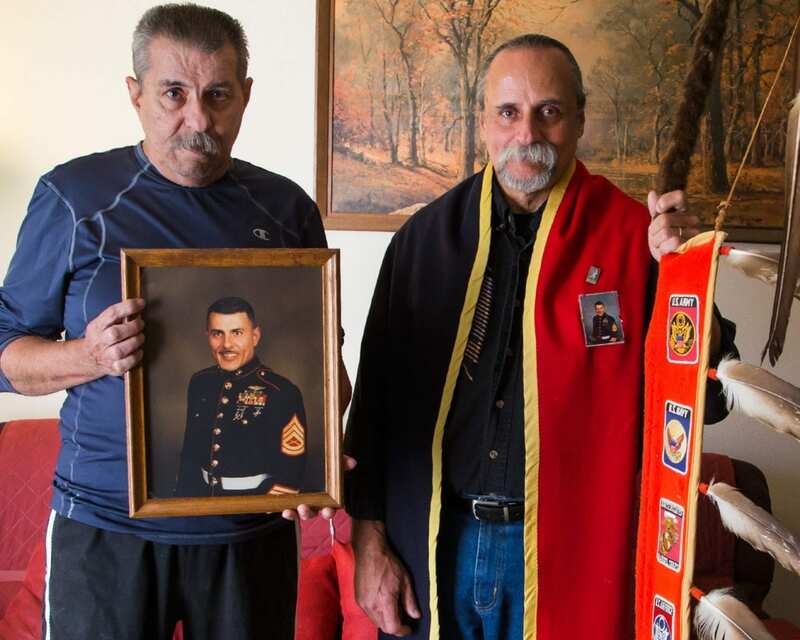 The Johnson brothers live in Independence, Missouri, and even though Norman did not serve in the military, he honors his family’s military service as a member of the Kansas City Indian Veterans Warrior Society. He also commemorates veterans as a gourd dancer in ceremonial powwows. Native Americans historically faced persecution and prejudice at the hands of white settlers, yet many of these indigenous people have served with honor in the American armed forces. Meanwhile, according to federal figures, the percentage of Native Americans that have served in the U.S. military since 9/11 is the greatest among all ethnicities. An Air Force spokesman also noted that it recently honored two Native American colonels with the the Legion of Merit and the Defense Superior Service Medal. 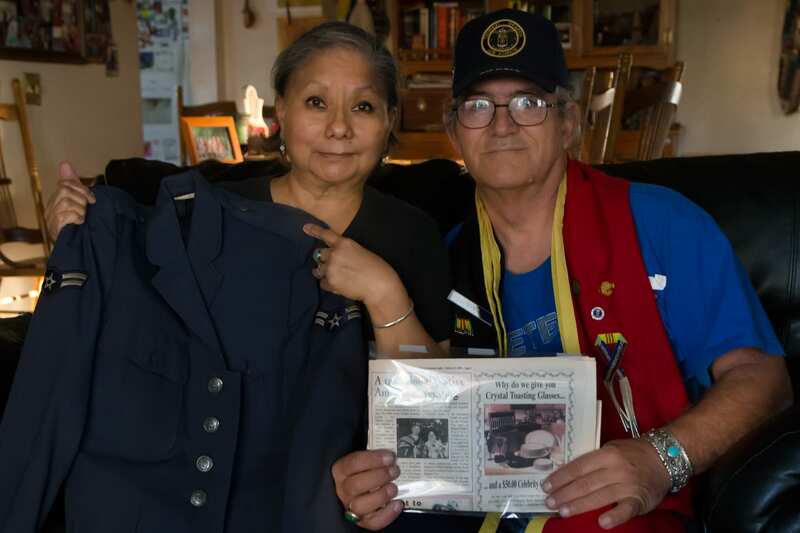 Along with the Johnsons, Blue Springs, Missouri, couple Gary and Carolyn King are another local pair that combine military service with Native American heritage. They are members of the Oklahoma-based Muscogee (Creek) Nation, and Gary King is an Air Force veteran who served in Southeast Asia during the Vietnam War and as a military policeman back in the U.S. The Kings have helped lead several civic projects that honor Native American culture with lectures at the National WWI Museum and Memorial and powwows that honor American veterans. Carolyn King was also the longtime director of the Kansas City Indian Center. She and her husband taught youth at the center about Native Americans’ most sacred traditions, including their history as warriors. Her passion working with urban Indian youth welfare services is what Indians refer to as being a “warrior” — someone who commits their life fighting to preserve the culture of their people. 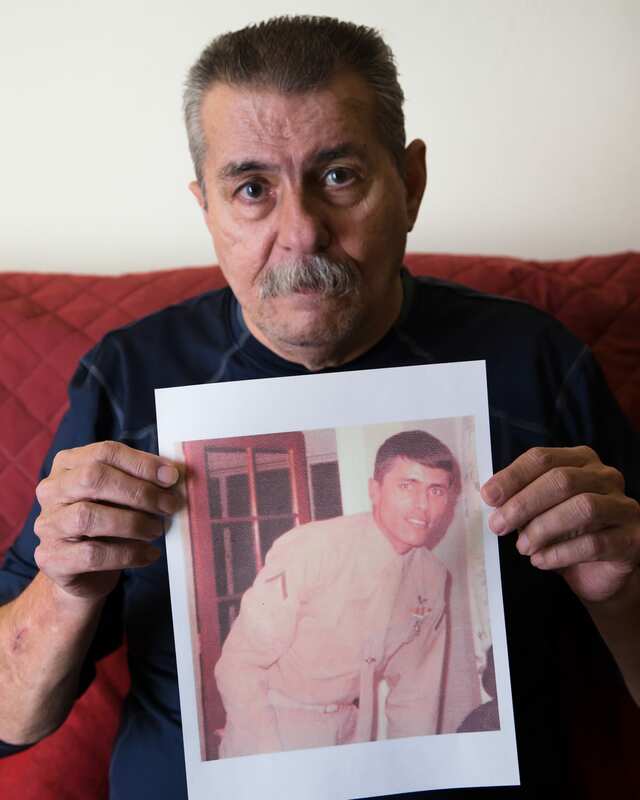 "Just turned 18 when I was sent to Vietnam as an Army soldier,” says James Johnson. "With a crew of four, we had to fly as close as 100 feet away from the Vietcong; almost all the fighting was at night, all seven days of the week." Every pipe stem and peace pipe is customized by tribal or familial iconography. 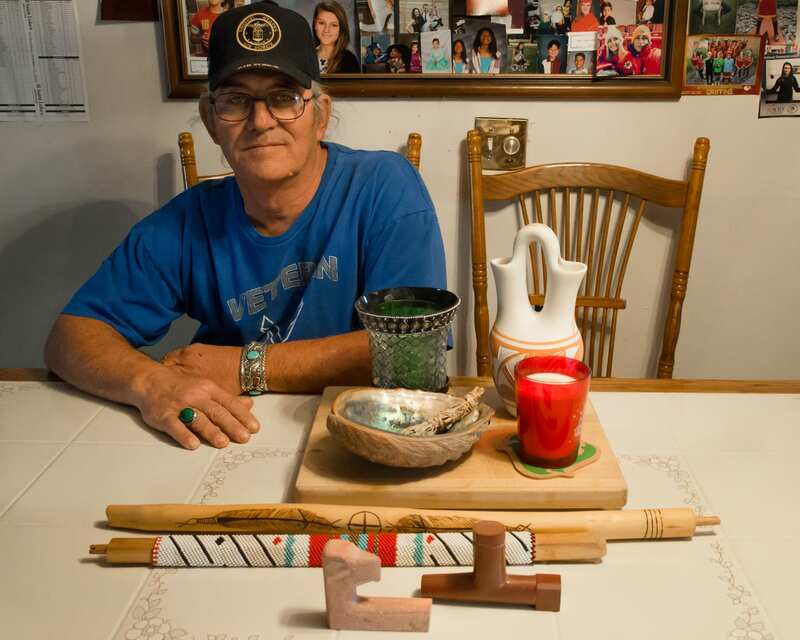 Gary King is a pipemaker, which is one of the highest and most sacred of honors for Native Americans. Carolyn King holds up Gary King's original U.S. Air Force uniform. Gary King wears his gourd shawl. A 1989 news article highlights their traditional American Indian wedding. 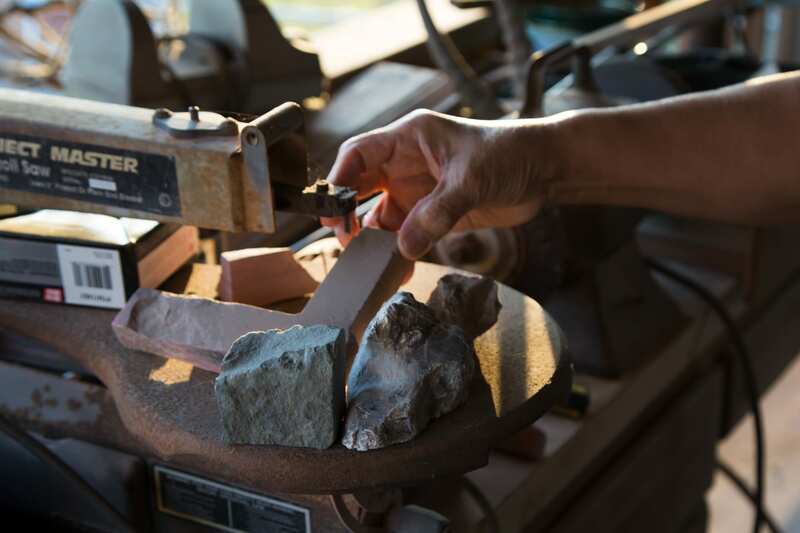 Sacred ceremonial pipes are made from catlinite, an ancient stone formed by the Pipestone River. 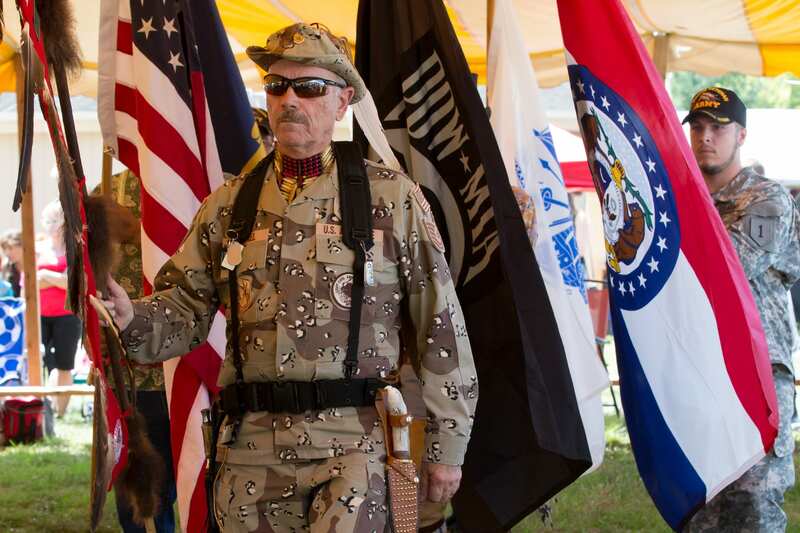 Air Force veteran William Cantrel, shown here at a Memorial Day celebration this year, is Eagle Staff carrier for veterans' commemorations in Kansas City. The Eagle Staff is carried by a veteran during powwows or by a “warrior” who fights to preserve the culture of their tribe. — For more stories about veterans, check out KCPT’s Veterans Coming Home, an innovative cross-platform public media campaign exploring “what works” for veterans as they return to civilian life — sharing the challenges and the success stories of veterans who are making a difference in the workplace, on campus and in their communities.